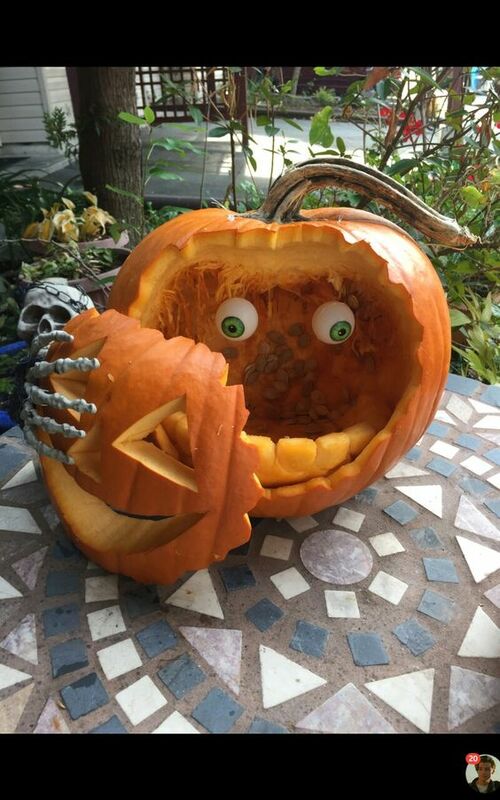 With October on the horizon, the nights begin to get dark quickly and people begin decorating for fright night. 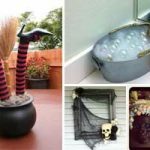 There’s no need to neglect the outdoors with these Porch Halloween Decorations which will give every trick-or-treater a real spook. 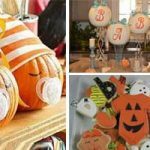 These creepy bats also make a wonderful Halloween craft for kids – as well as making your porch look spook-tastic. 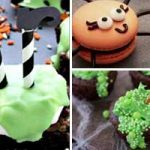 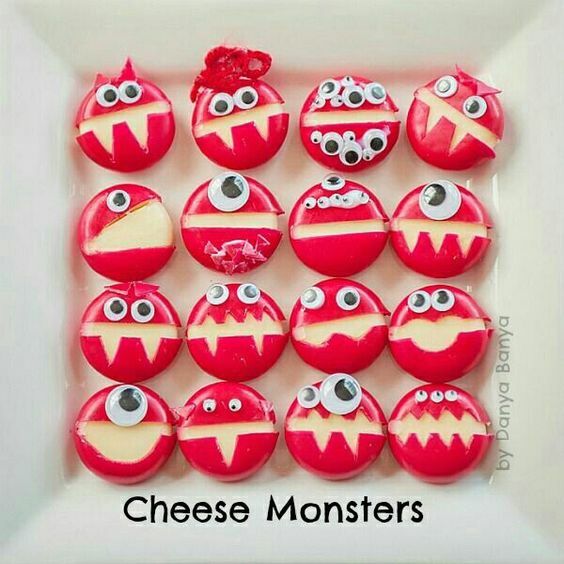 You’ll need black craft foam, googly eyes and fishing line to make these upside down creatures. 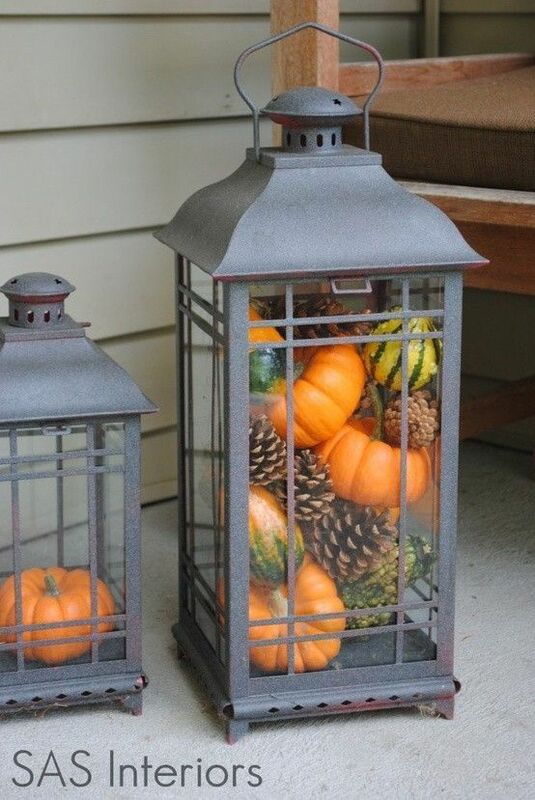 Filling outdoor lanterns with pumpkins and gourds will take your porch through fall, Halloween and Thanksgiving so they are a great investment for your decor. 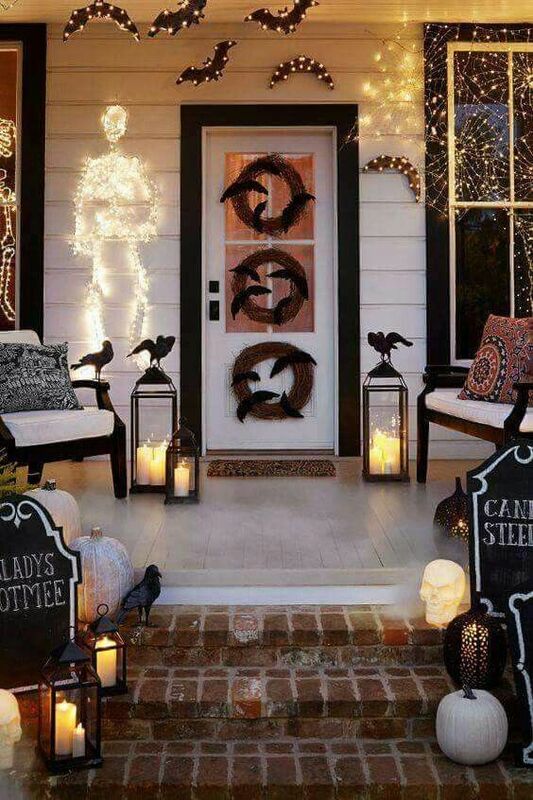 This is a rather simple and elegant way to decorate for fall. 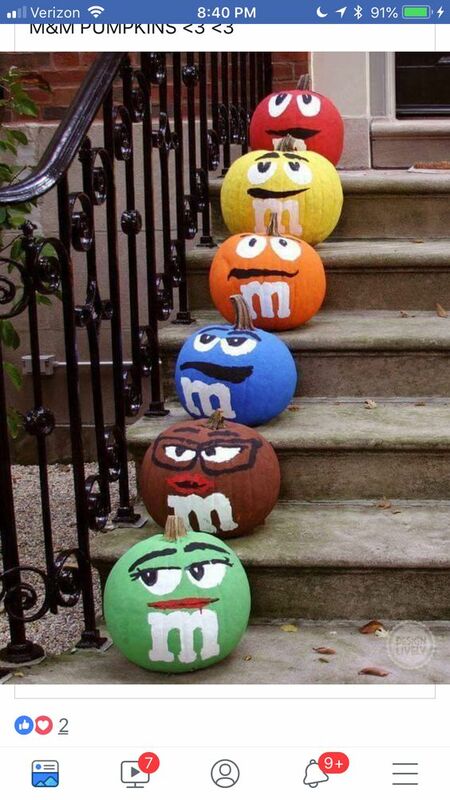 Get three different sized pumpkins and paint them in typical Halloween colors such as orange and black and white. 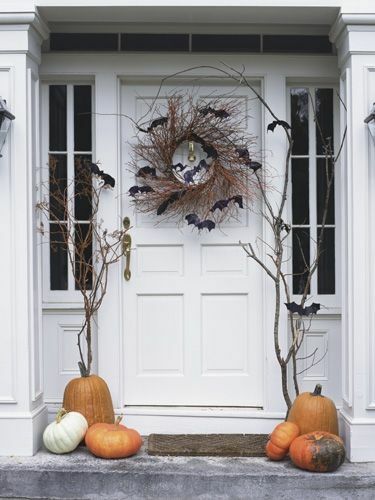 Wreath’s always look good for holidays, so try this bat themed one on your front door to create the wow factor. 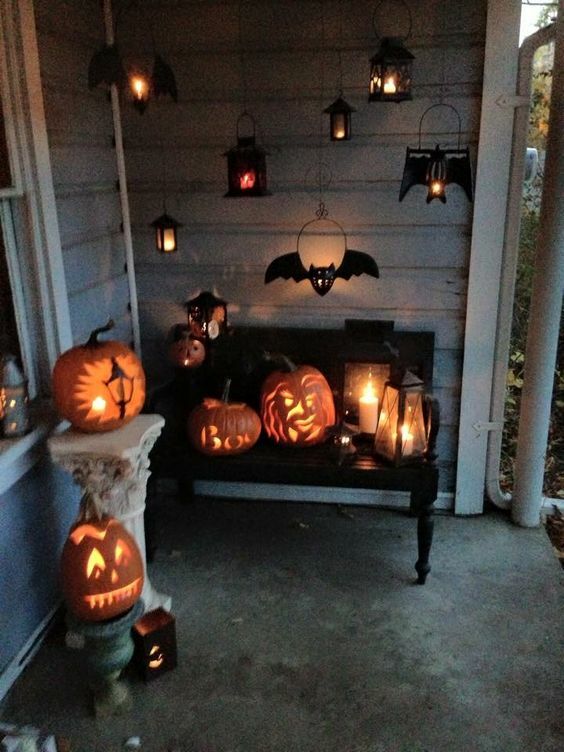 A group of lit Jack O Lanterns makes this porch stand out from the rest of the neighborhood on fright night. 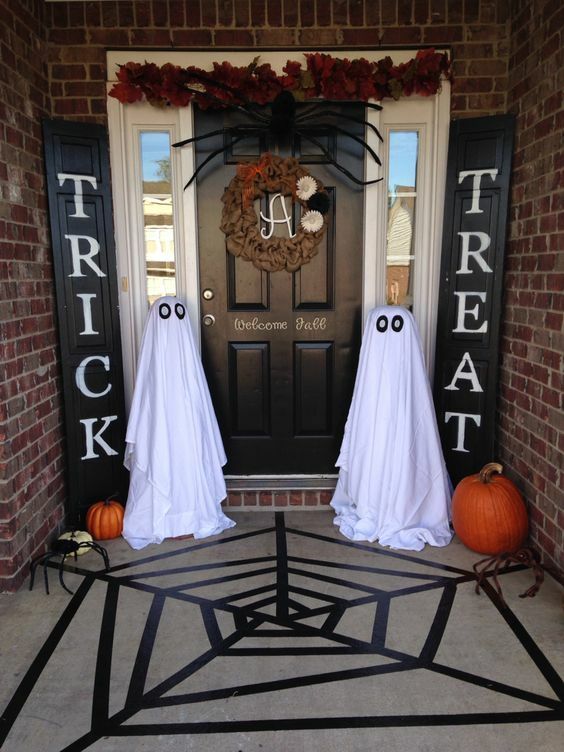 This idea from the Hobby Lobby really creates an impact for all your ghoulish visitors. 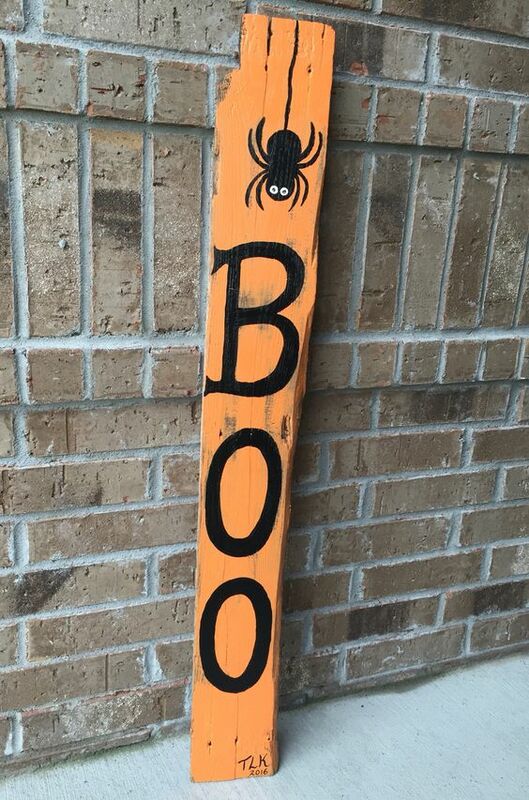 You can re-purpose a wooden board to create this sign with orange and black paint. 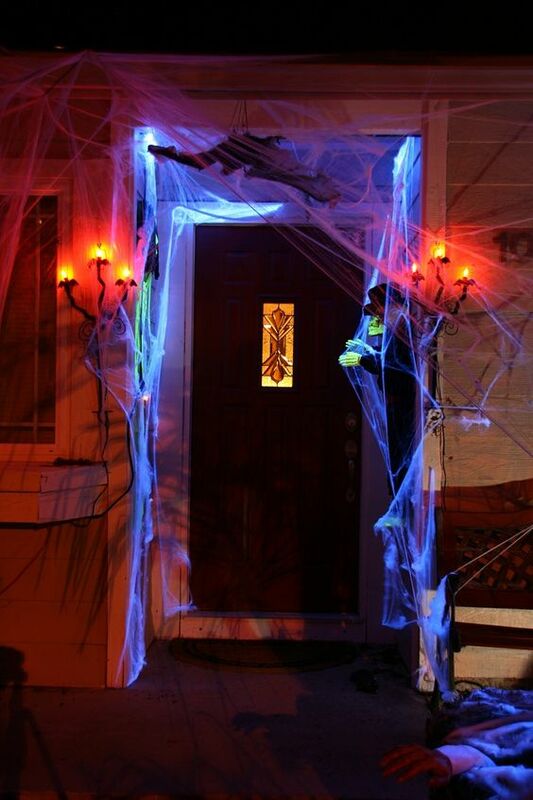 Neon lights are a great way to illuminate spider webs and bats on your porch. 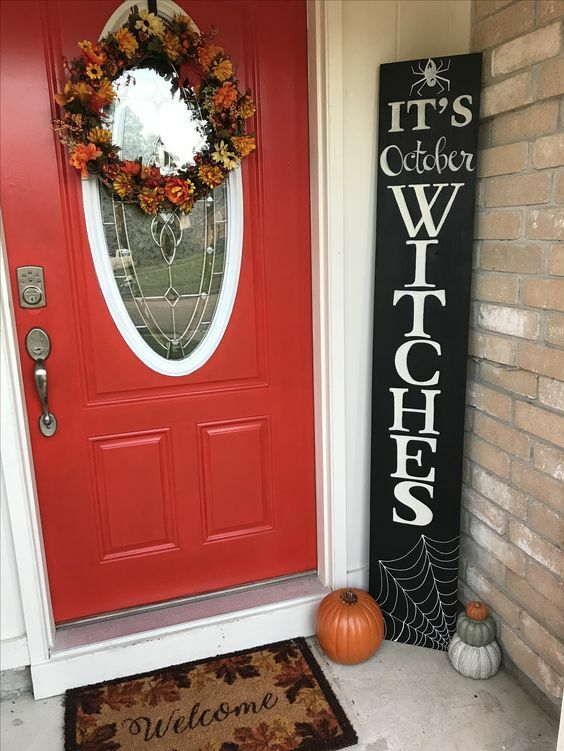 A chalkboard sign with a witch’s broom will help to set the spooky tone for your decor. 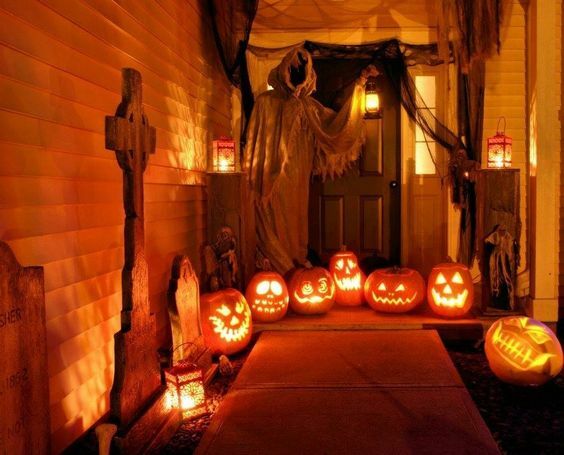 Get these spirits to guard your door from spooky happenings on the night. 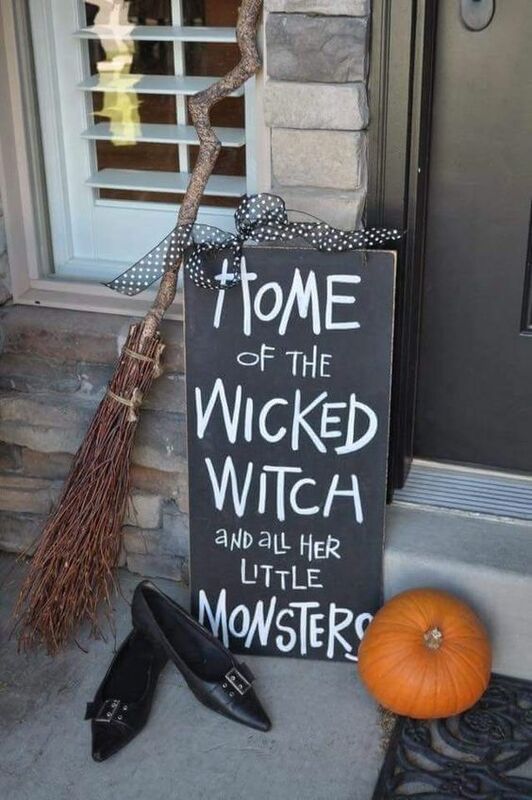 This funny sign will really raise spirits ( not literally). 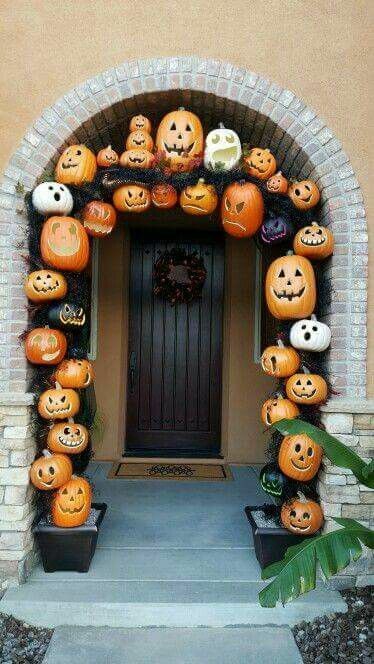 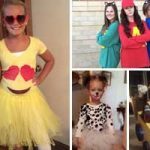 Pack a punch by layering up many different pumpkins to create an impressive entrance for your tick-or-treaters on the night. 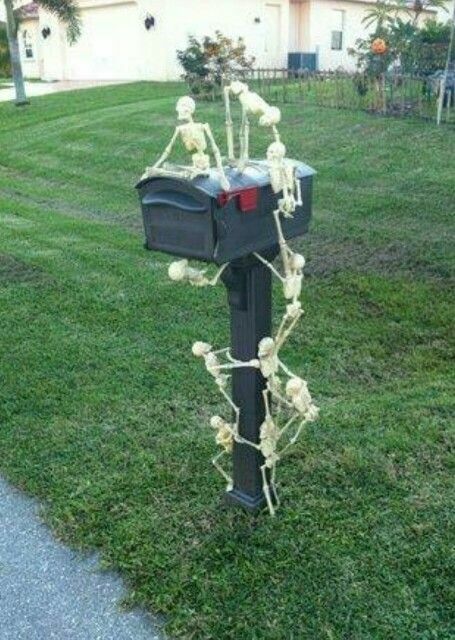 Show the mail man some spook by decorating your mail box with little skeleton figures that can be purchased at your local dollar store. 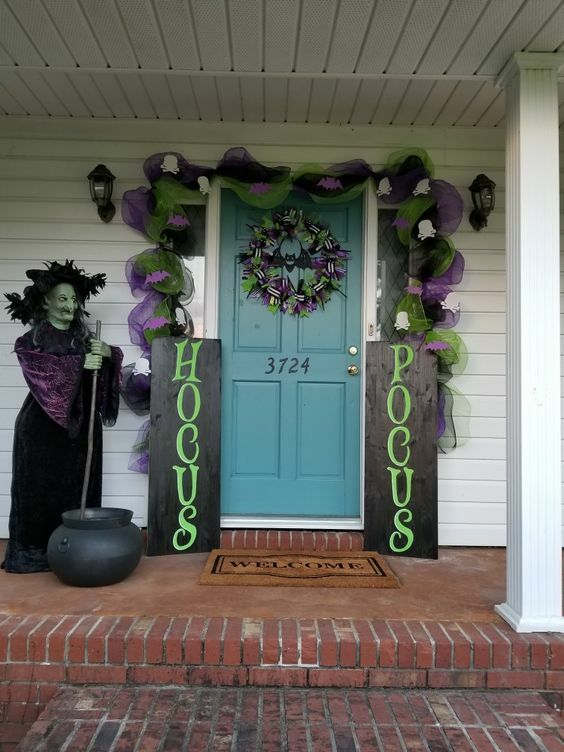 Brighten your porch in time for the eerie season. 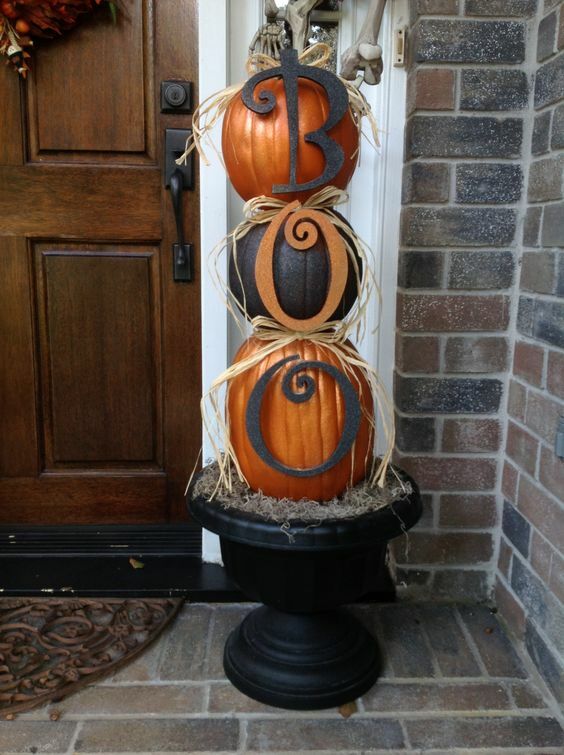 You’ll need three different sized pumpkins as well as letters to spell out the words ‘Boo’ to make this decoration. 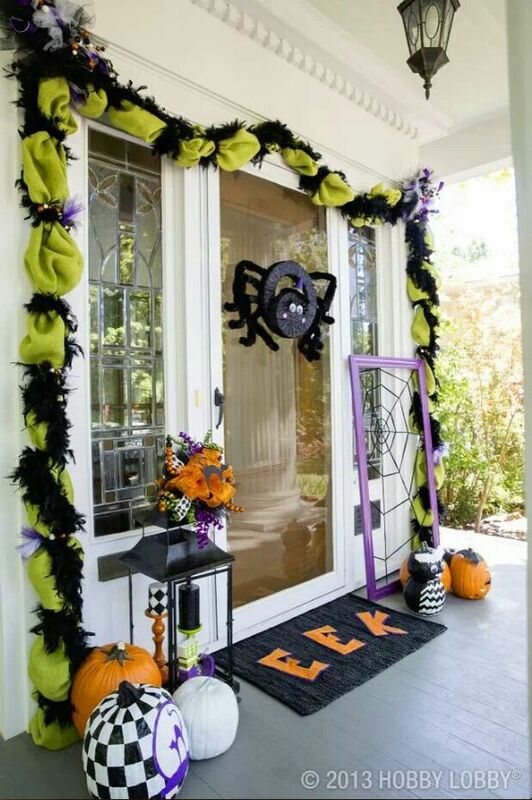 Some raffia tied around each of the pumpkins completes the look. 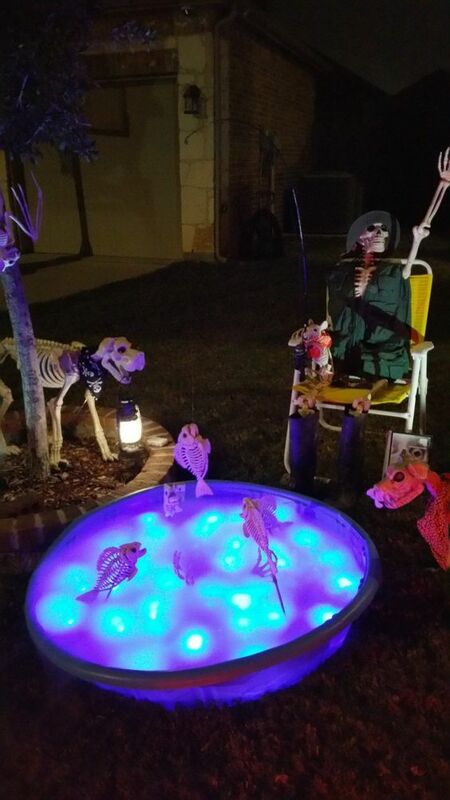 These skeletons are up to no good – glow sticks form the glowing part of the potion. 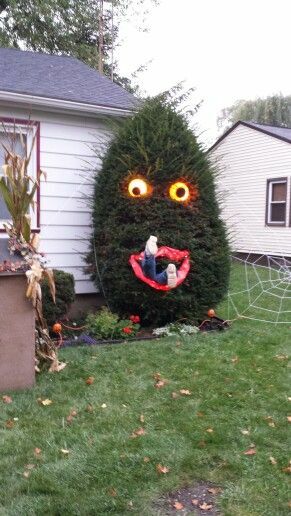 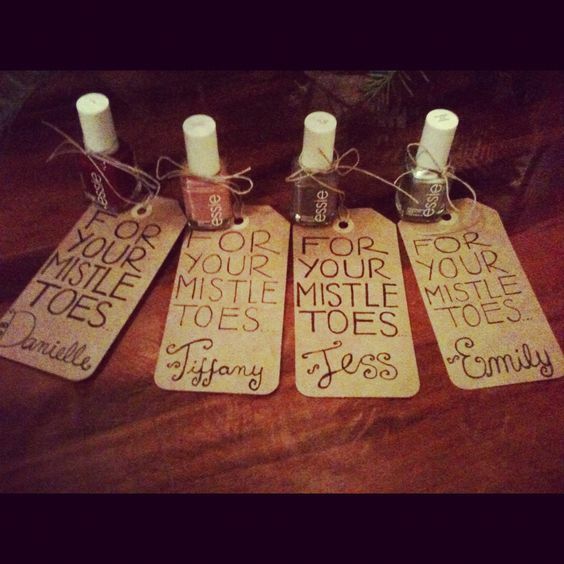 Bring your tree to life with this clever idea which will keep the evil ghouls away. 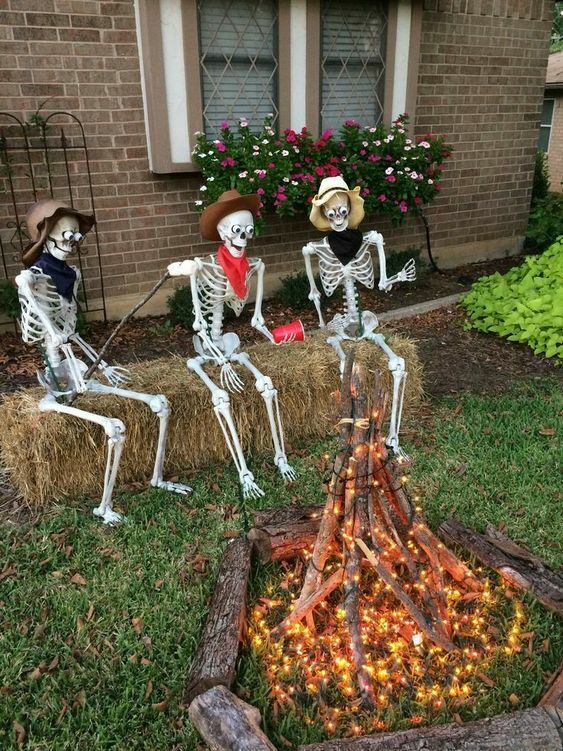 A super cute idea to engage your skeletons on the yard – and don’t worry it’s not a real fire – it’s just fairy lights to bewitch the crowds.